Zion National Park is becoming more and more popular each year. Use these few tips and strategies to get the absolute best out of your trip to Zion. It really is best to plan your visit to Zion during the week, not on weekends (for obvious reasons, like busy!). Also try to avoid visiting during holidays or holiday weekends as that is when the park will be the most packed. Early spring and late autumn are the absolute best times of the year to visit, temperatures are perfect and there won’t be nearly as many crowds. Avoid coming during the middle of the day when temperatures are high as well as crowds. Exploring during early mornings and afternoons when the crowds have yet to come out or are dispersing. Don’y shy away from the shorter and more popular trails! Though short these trails still offer plenty of beauty! For the more strenuous trails such as Angels Landing and The Narrows, you need to make sure that you are prepared and don’t just head into it without the proper gear. 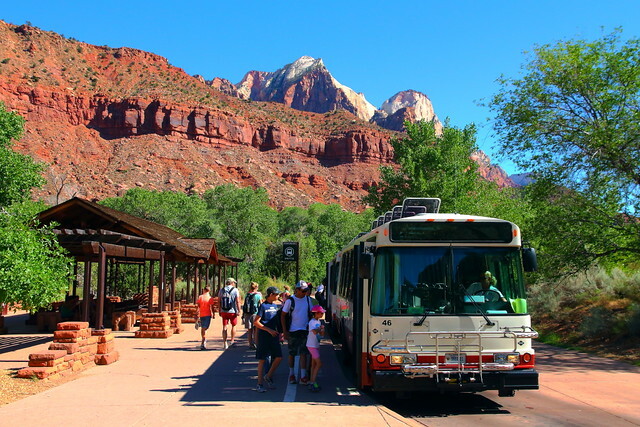 The visitors center and The Temple Of Sinawava are the most popular and crowded stops in Zion Canyon. If you’re looking to get some privacy and want to just relax, try getting off at some of the less popular stops and enjoying the beauty around you. Tips For A Successful Business Trip Why Visit Zion In The Winter?